Did you know that your favorite neighborhood seafood joint gets its seafood delivered daily from their purveyors? That’s right. Oyster Bah, which was created by the team at Shaw’s Crab House, has some of the freshest, most exceptional seafood in town that is flown in every day. Did you also know that the restaurant has recently launched a new menu? 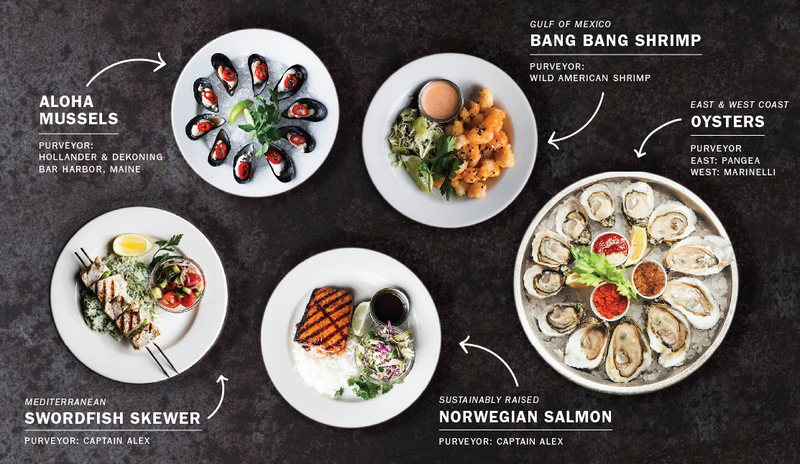 Take a look at where they’re sourcing from to help craft these new dishes on their menu. 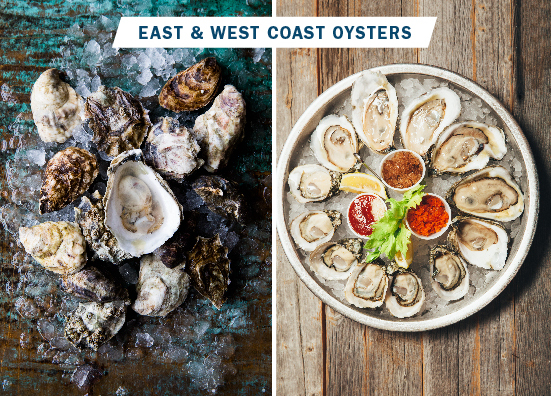 From coast to coast, from ocean to table, Oyster Bah guarantees high-quality fish 100% of the time. It’s in the name for a reason. The oysters at Oyster Bah are flown in every day from either coast to give guests a wider variety than most restaurants in the city. 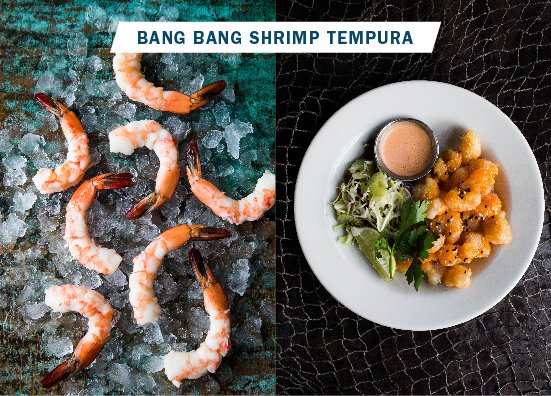 One of the team’s favorite East Coast vendors is Pangea Shellfish, based in Boston, Massachusetts. Pangea works with a large variety of farms across the coast and only distributes the best from the ocean. Our Oyster Bah family can’t get enough of the Pink Moon Oyster from Prince Edward Island in Canada. These petite, cocktail size oysters have creamy meat with a perfect balance of salt and mineral on the finish. When it comes to the West Coast, the Bah loves Marinelli Shellfish Co. headquartered in Seattle, Washington. Every order is shipped by air directly from Seattle to restaurant’s door. A favorite West Coast oyster from the team is the Shigoku oyster which has a smooth, hard and round shell and tends to be salty, mildly sweet, with a long fruity finish. The mussels Oyster Bah sources are Hollander & Dekoning ‘Dutch Style’ Mussels and are farmed in Bar Harbor, Maine. This fifth-generation mussel farmer has strong roots in the Netherlands and is the only Dutch-style farm in the U.S. Every mussel is washed, graded for size, de-bearded, and purged of any sand. 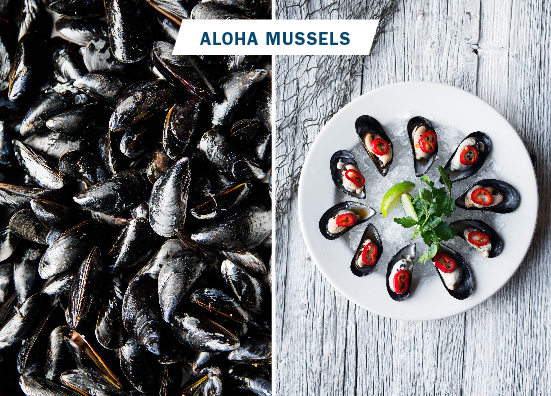 The intricate process of growing their mussels is essential to the de Köning family, as it creates a unique and crave-worthy product with a strict focus on sustainability. 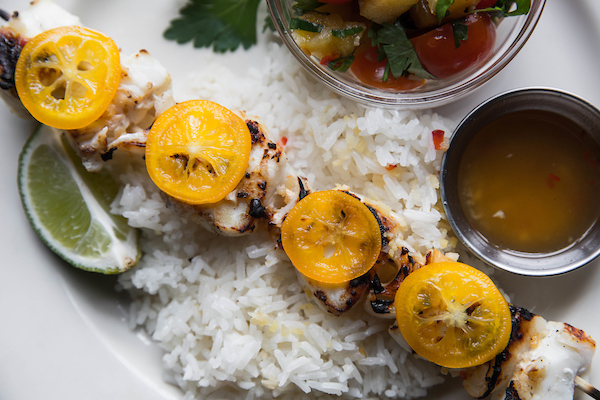 TIP: This dish is one of Founder Rich Melman’s favorites! 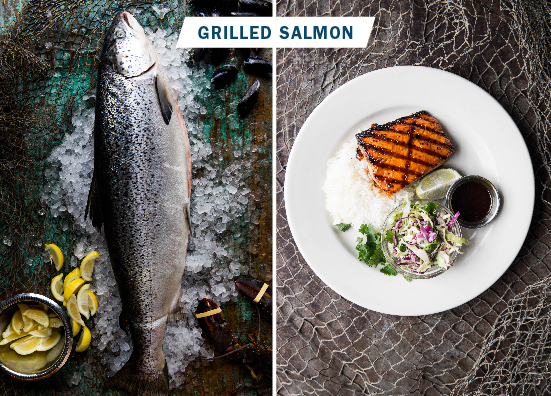 The Grilled Salmon gets its precious product from Norway. Norwegian Salmon is sustainably raised and cared for under strict regulations. Captain Alex- Sammy, Oyster Bah’s Fish Butcher, selects the best fish available for them to sell every evening. In comparison to other fish, Norwegian Salmon has a beautiful bright, orange color with white lines. It’s especially rich in protein, vitamin A, D, B12, antioxidants, omega-3s and has a very clean, fresh taste. One of the newest dishes at Oyster Bah has already become an instant classic. 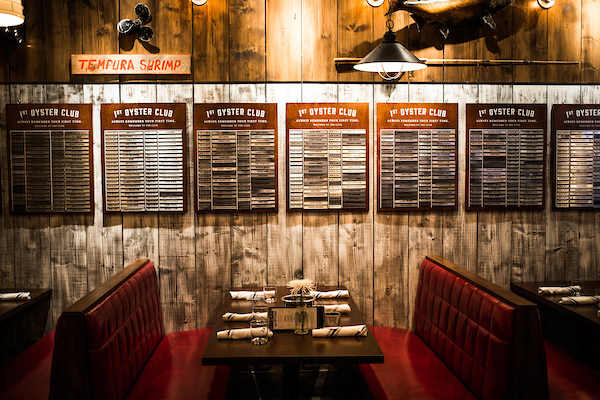 The shrimp are the highlight here and rightfully so as they’re sourced directly from Wild American Shrimp fished from the Gulf of Mexico by family-owned and operated boats. The waters in the Gulf of Mexico are nutrient-dense and give the shrimp a better taste and texture than others. Not a seafood person? No worries, Oyster Bah’s got you. The patty in the Prime Burger is from Slagel Family Farms in Fairbury, Illinois. All of Slagel Farms’ livestock is raised naturally and fed grain, grass, and hay. You won’t find any implants, preservatives, additives or hormones used. This ensures your burger at Oyster Bah is not only sourced locally, but is of the best quality you’ll find in the city. Have You Tried the Fish of the Day? Always changing depending on the seasons and what’s the freshest, you’ll never know what Chef Donny Farrell and the team at Oyster Bah are planning. Whether it be swordfish, halibut, sea bass, or tuna, you can expect only the best quality fish from purveyors all over the country. There’s only one way to find out what today’s fish of the day is. Slide into one of our booths and come in and try one of the new dishes. Make a reservation at Oyster Bah or just stop by. We’ll save a seat for you.